MOSCOW, November 7. /TASS/. Moscow will challenge Washington’s actions if the US imposes sanctions against Russia’s sovereign securities, Deputy Finance Minister Sergei Storchak said on Wednesday. "We will challenge the US authorities’ actions (in case of sanctions against Russia’s state debt - TASS), attack to the extent possible. We have platforms suitable for that, first of all, the G20 platform, the Financial Stability Council platform," he explained. As reported earlier the United States might tighten sanctions in November, particularly by banning transactions with the Russian sovereign debt with maturity over two weeks (only concerns new placements) and restricting dollar transactions of the largest Russian banks. 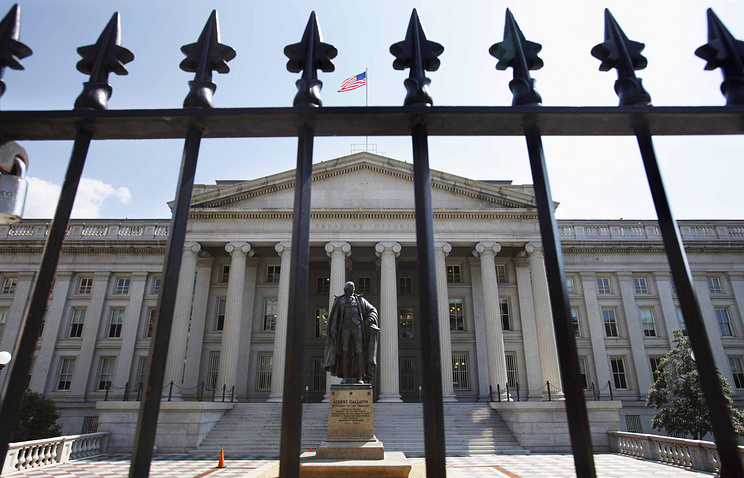 In January 2018, the US Treasury Department recommended in its report not to impose sanctions on Russia’s state debt since that could have serious negative consequences for the market outside Russia. In April, the US Treasury Secretary Steven Mnuchin confirmed that Washington was very cautious to imposing restrictions against Russia. "So far there is no information as to whether the US Treasury has changed the position announced at the end of February. The behavior of investors dealing with the Russian debt is more proactive rather than based on an unbiased assessment of the US authorities’ actions. They seek to pre-empt withdrawing their assets from OFZ," Storchak explained. First Deputy Prime Minister, Finance Minister Anton Siluanov has repeatedly said that the ministry would be able to issue the required amount of borrowings on the domestic market if Washington imposes sanctions on the Russian state debt. "Our own institutional investors, such as pension funds, insurance companies, have emerged over the years of the active development of the national debt market," he emphasized.